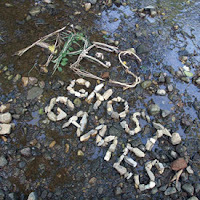 Apes are back with their fourth full length album, titled Ghost Games. Since Baba's Mountain, their last album in 2005, Breck Brunson has replaced former front-man Paul Weil, who left the band to start a family. Not having been familiar with their music before, I can't compare this to their previous efforts, but I can say that if the Nurses debut album made you salivate, this one will fit nicely into your collection. It's up, it's down, It's raggedly wild music that will in turn grate on your ears, and then just as quickly smooth out. It pairs hand claps with electronic guitar riffs (think Peaches, but less dancey and more aggresive). And to top it off, Weil's voice sounds like a psychopath (a musical psychopath with a well trained musical ear, though!). It's out February 19th, but take a listen below. 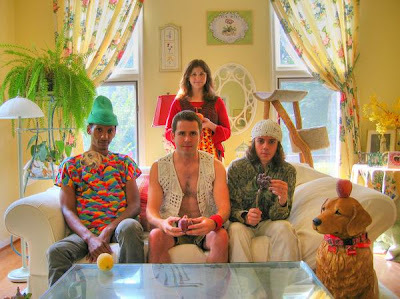 Visit their website, their label Gypsy Eyes Records, and become their friend on MySpace.